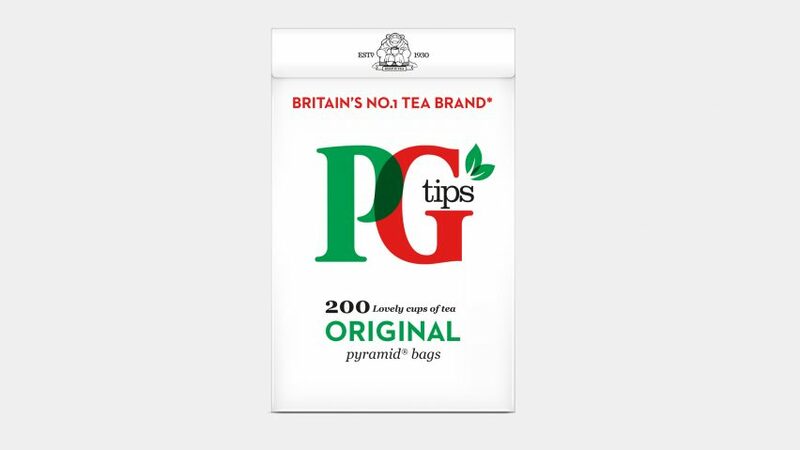 British tea brand PG Tips is launching a new tea bag made from 100 per cent biodegradable plant-based materials, replacing its old design that included a proportion of polypropylene plastic. The news comes after over 232,000 people signed a petition launched by a gardener, asking the brand to remove plastic from its tea bags. The use of plastic in tea bags has come under scrutiny in recent years after gardeners noticed the teabags were not degrading in compost bins. PG Tips has until now been using a combination of paper fibre and polypropylene plastic for its bags. The plastic was used to hold the structure of the distinctive pyramid-shaped tea bags when in contact with hot water. But the new design will see the polypropylene element replaced by corn starch, which will make the bags completely biodegradable. An initial run of the tea bags will hit UK shelves next week, and the Unilever-owned brand has vowed to make all its tea bags from 100 per cent plant-based material by the end of 2018. "It's been in our pipeline for several years," a spokesperson for the brand told Dezeen. "It's part of our broader commitment as a company about creating recyclable packaging." Unilever, the British-Dutch consumer company behind the tea brand, has already introduced plastic-free tea bags in Canada, Poland and Indonesia. "Tea is the most consumed beverage after water in the UK, with nine billion PG Tips tea bags made every year," said Unilever's vice president of refreshment, Noel Clarke. "The new 100 per cent plant-based material we're moving to is an innovation based on cutting edge science and technology." Unilever is the latest mainstream tea bag producer to introduce a fully biodegradable product, with the Co-op supermarket announcing it too was planning to ditch polypropylene in January this year. It similarly plans to roll out the tea bag this year, as consumers become increasingly savvy about the use of plastics. Concerned about the environmental impact of "virgin plastic", a number of designers are also now putting forward ideas for more sustainable recycled plastic products. London studio Made Thought recently designed the "world's first" plastic-free supermarket aisle for Ekoplaza, as eco-conscious shoppers have begun to campaign for more sustainable packaging options.